It is a surgical procedure that removes the skin, muscle and eventually fat from the upper and lower eyelids, thus improving anatomically, functionally and aesthetically the eyelids. 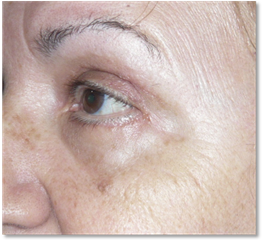 What results are obtained with blepharoplasty? Improvement facial expression, rejuvenating the look. Increase the visual field in cases where it is affected. Relieve heaviness and rubbing of the skin on the eyelashes. Improve the functions of protection and nutrition that the eyelid performs on the ocular surface. isual improvement can be obtained from the aforementioned mechanisms. It can westernize the Asian eyelid. 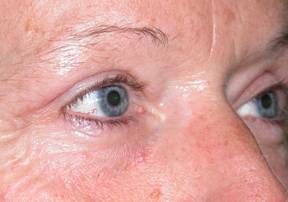 It is often used as auxiliary technique in correcting ptosis. 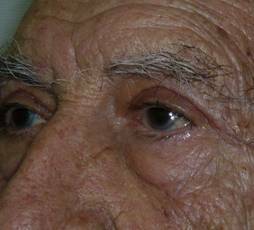 Increase of the space between the eyebrow and the eyelid. 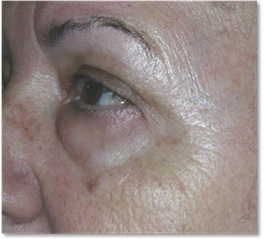 What do we not get with blepharoplasty? Blepharoplasty does not act upon the fall of the eyebrow (brow ptosis) or wrinkles on the corners of the eyes (crow's feet). It does not act upon sunken eyes or on changes in skin color or dark circles. 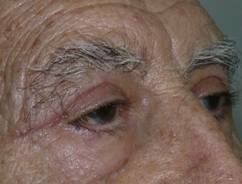 What are the indications for blepharoplasty? The purpose may be reconstructive (removal of a tumour, injury etc.) or cosmetic (improved appearance). It would therefore be indicated in dermatochalasis, fat pouches and hypertrophies affecting the orbicular muscle. In principle, if the purpose is merely cosmetic, it would not be indicated in young people under the age of 30-40 years, as the tissues have not changed yet. 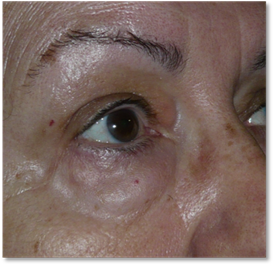 Blepharoplasty notably improves eyelid appearance, although there is not an attempt to pursue an aesthetic ideal. The results achieved are determined by individual patient characteritics and may even be unilateral, with different surgeries perfomed in each eye. Existence of metabolic diseases (thyroid, diabetes) or dermatological conditions. Patients should be realistic in their expectations and be psychologically stable. In the initial consultation a complete medical history is obtained documenting past medical illnesses, allergies, etc.. and a complete ophthalmologic evaluation is performed, including visual acuity measurement, fundoscopy, intraocular pressure, tear study, and refraction. Smoking is an important factor that can affect coagulation, besides producing premature skin aging. Additional eye tests may be carried out, such as visual field, in search of specific abnormalities. The surgeon will ask you to explain that you want to achieve with this particular surgery in order to create realistic expectations. Your surgeon will explore characteristics of your skin and defects that can be corrected. He will also explore your individual facial and orbital characteristics, and will document it creating a protocol. He will take photographs of you in different positions (these photos are strictly for medical purposes, your permission will be obtained beforehand), to assess the before and after. It is important to perform these as they may have legal value on assessing results. 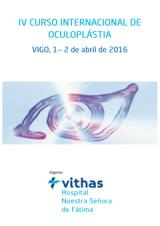 A preoperative evaluation will be obtained including bleeding and clotting times. The type of surgery will be planned in advance, explaining in detail in what it will consist and the type of anesthesia and that will be employed. It is very important to have adequate communication between surgeon and patient regarding the type of surgery that will be performed: whether it will involve only the upper eyelids or the lower ones as well. Upper eyelid surgery can last about 20-30 minutes each side and usually requires no sedation. Lower eyelid surgery takes a slightly longer and can be more painful, requiring sedation in some cases. Therefore, when surgery is scheduled for all four eyelids, the patient should expect it to be long, between an hour and a half and two hours, or even longer. If the patient is operated only on the upper eyelids, he should know that their bags for a few months due to lower worsen inflammation of the upper. It is also an option only be made lower. Your surgeon will discuss the advantages and disadvantages of each decision. Does my insurance policy cover blepharoplasty? 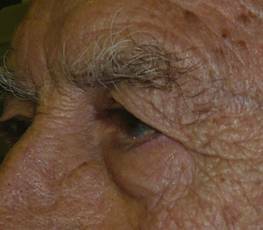 Generally, purely cosmetic blepharoplasty is not covered by health insurance. Your surgeon will inform you accordingly regarding this aspect as well as the cost of surgical intervention. You should fast for at least six hours prior to entering the operating theater. This includes not drinking water. You should take your usual medications before going to the operating room. Antiinflammatory medications should be avoided one week prior to surgery unless they are deemed essential, as they can result in prolonged bleeding times. If you are taking an antiplatelet or anticoagulant (Plavix, Adiro, Iscover, Sintrom, Heparin ...) inform the surgeon so he can adjust the tone. Generally all antiplatelet agents should be discontinued. You should to the operating room without makeup, jewelry and clothing avoiding lycra. What kind of anesthesia will I have? The surgery is performed in a hospital operating theater and adequate supervision and monitoring should be performed by an anesthesiologist. It should not take place in clinics or medical offices. Local anesthesia is used. This anesthesia only hurts slightly at the time of infiltration. Sedation is also typically used. You will be awake but unable to notice pain. In some cases, general anesthesia may be used. This is an outpatient procedure that rarely requires hospitalization. Marking of skin which we wish to remove. This step is very important. The subject is in a sitting position. The marked area will depend to split and may be asymmetrical relative to the other eye. An incision of the skin and removed. Then we can do the same with the muscle beneath. This is optional. The incision and subsequent scar is hidden in the sulcus. If there are fat pads, surgery will end at this point, closing the skin with a very fine stitches. If there are fat pockets or hernias, we will continue to deepen, opening the orbital septum (firm tissue that prevents the protrusion of fat), carefully locating and extracting pouches, cutting and cauterizing so there are no bleeding vessels. 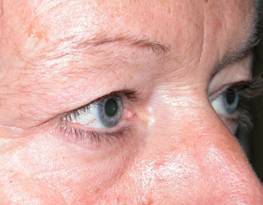 A full blepharoplasty can last 30 minutes or more for each eye. In this case we have to pre-screen lid features, degree of tension and laxity, age, pouches, grooves, etc. 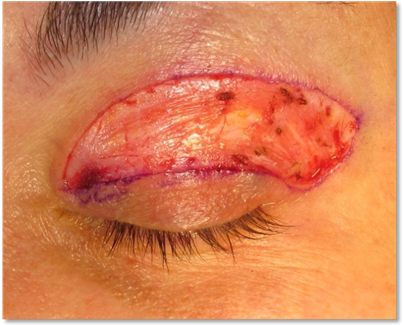 Pouches can be accessed thorough different pathways: internal, transconjunctival or skin. This will depend on the prior assessment. In young people who do not require skin shortening the path of extraction of the bags will be internal. When access is by internal means stitches may not be needed. This route requires less surgical time. 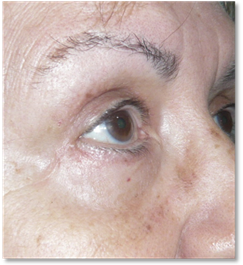 The external pathway through the skin is practised below the eyelids and is not noticeable afterwards. It is a longer procedure but can better adjust excess skin. In addition to removing the bags, we can and must often make adjustments in your eyelid lateral angle (lateral tarsal strip, cantopexia, cantoplasty). This is done to firm up the eyelid. It is not always necessary to remove fat pouches. Sometimes we move them to areas where furrows appear, in order to complete and improve the appearance of sunken eye. What risks and complications does this surgery entail? They are very rare. See Informed Consent for more details. Hematoma: it is the most common and natural complication. Its duration is variable and it usually leaves no scars or sequelae. 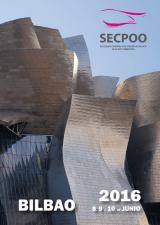 Scars: Ealing of the skin varies individually in each patient, being unpredictable in advance, although there are a number of features that help predict their evolution: smoking, very dark skin, sun exposure, metabolic diseases, and racial characteristics may cause scars that behave abnormally, favouring the appearance of keloids. 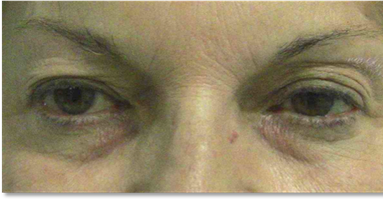 Ectropion: this is the rotation of the eyelid outward (eversion). It may appear in the lower eyelid and can be corrected with further surgery. It can occur temporarily and is usually relieved by massages. Retraction: by this we refer to either a descent of the lower eyelid or an ascent of the upper eyelid, caused by excessive shortening of the skin of by fibrosis of the internal tissues. It usually requires further surgery to correct it. Lagophthalmos: inability to close the eyelids. It is produced by removal of excess skin. It requires additional surgery with skin grafts. Blindness caused by excessive traction of the bags, or internal bleeding, not external. Its frequency is exceedingly rare. Your surgeon will explain in detail the post-operative care in order to achieve the best possible results. It is very important to perform compression of the eyelids Turing the first 48 hours, attempting to place pressure on the bone, not the eye. This compression is made with crushed ice bags protected with a cloth or gauze. You should perform it for periods of 15-20 minutes, with resting periods in between of 20 minutes. You should contact your surgeon immediately in the event of heavy bleeding, severe pain or loss of vision. The resulting hematoma will depend on all of the care and the characteristics of each patient. It is not possible to know in advance. During the first 24 hours of blood may stain the gauze. The patient may have difficulty closing the eyelids for a few days. Lubricating creams or artificial tears must be applied during this period. Tearing and grittiness may be observed as well. You may also notice minor changes in vision, blurred vision and a feeling of glare. They are transient effects. You should avoid makeup during the first month. 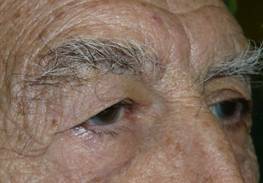 Upper eyelid blepharoplasty is generally not a painful procedure. 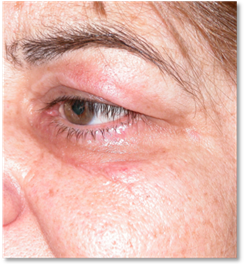 Lower eyelid blepharoplasty may be slightly more painful. Your surgeon will prescribe you pain medication if needed. He will also inform you regarding your wound care needs. The stitches are removed after a week. Small white dots may appear in the area of the suture, which are easily removed. There may be discomfort with the wind and the sun for a few weeks. After a week or so to remove the stitches. At one, three and six months time patients are normally discharged. During this time, your surgeon may take photographs (strictly for scientific purposes). If during that time correct zones are objectively noted, it is better to wait for reoperation stabilization, if necessary. When I can go back to my normal activities? Patients can do their normal activities within 24 hours with the exception exercise or lifting weights. Bed rest is not required. You can read and watch TV after 24 hours. If you work at home you can do so after 24-48 hours avoiding efforts. You are entitled to time off work for this surgery for a period of 5-7 days. After 7-10 days you will usually be able to return to your workplace with very few visible signs. Exercise should be avoided for at least a week. When will I have no remaining signs? 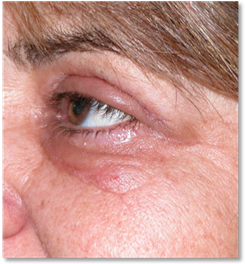 Upper eyelid hematoma can sometimos irradiate to the lower eyelid and down to the neck. Its duration is variable, varying from 15 days to six weeks in some rare cases. Typically, after a month you will only have slight bruises or a barely noticeable scar. The scar will evolve over time, as part of a gradual process, and is usually considered stable at 6 months. During this time changes in its texture, appearance and colour will take place. It is therefore vital care to apply sunscreen and massaging. The final scar is usually a thin white line. 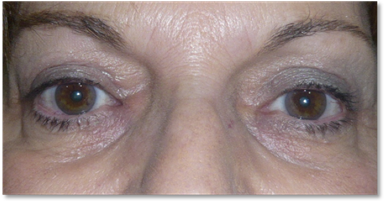 The results of upper eyelid surgery usually last up to 10 years or even indefinitely. 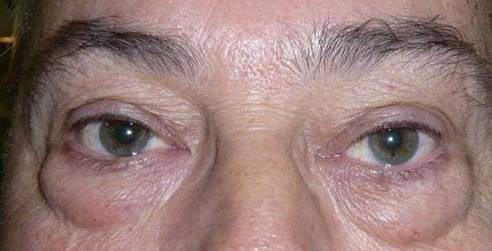 In the lower eyelid the results tend to be more definitive but more complications can occur.